Washington’s extreme drought is not only impacting the environment, agriculture, and utilities, it is also testing the legal and regulatory systems that govern use of our water resources. As of early August, the U.S. Drought Monitor shows the entire state of Washington in “severe drought” with one-third in “extreme drought.” The state backed into what is being called the worst drought in state history. Even in early winter “snowpack drought” conditions appeared but overall precipitation was stable and reservoirs full. Initially, Governor Inslee issued declarations in March and April that together covered 24 of the state's 62 watersheds and 44% of the land area, but after a hot spring with little rain and none in the forecast the Governor issued a third emergency drought declaration on May 15 for the whole state. Washington law defines drought as less than 75% of normal water supply, and the emergency declarations trigger special water rights procedures by the state Department of Ecology (Ecology) and open access to relief funds for water supply hardship. The worsening drought of 2015 has widespread consequences for cities, farmers, and fish. Irrigators in the Yakima River basin, the state’s most productive agricultural region, are coping with exceptionally low water supply, with junior (pro-ratable) districts set to receive only 46% of standard water allotments. Crop losses and extreme drought conditions caused the U.S. Department of Agriculture to declare several Washington counties natural disaster areas. With the state’s snowpack officially gone (0%) by June 15, the hottest June on record, some stream flows have reached exceptionally low levels. 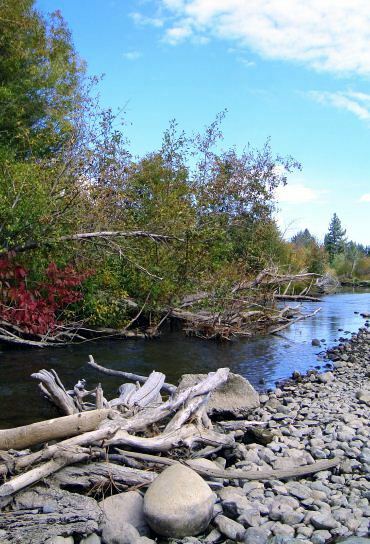 Up to 80% of the state’s streams are below the 10th percentile in historical flow, and Washington’s Department of Fish & Wildlife (WDFW) has closed or restricted fishing on dozens of rivers due to drought conditions and high temperatures. The drought also hit the wetter, western side of the state, with large water utilities in the Puget Sound region recently issuing water advisories and seeking voluntary reduction in water usage. Ecology may not issue new permits or amend existing water rights that injure or “impair” senior rights, which include instream flow levels adopted by regulation. In a drought, the agency may make prompt decisions, but cannot waive instream flow requirements or other conditions to protect senior rights. Ecology is actively regulating the priority system within its limited authority. The agency has issued approximately 400 curtailment orders to water users in eastern and western Washington. Most have gone to holders of junior permits expressly issued subject to instream flows, and others to surface water uses in the Yakima River basin. Ecology has curtailed diversions in Yakima River tributary streams except for the most senior rights; for example, the agency cut off water rights with 1885 or later priority dates in the Teanaway River basin. Ecology lacks authority, however, to regulate among or between vested water rights holders, or between junior groundwater users and senior surface water rights. In theory, court adjudication of water rights occurs periodically to provide the legal basis for stream regulation in a drought. In practice, the only active court adjudication covers the Yakima River basin, and most of the water rights in the state remain unadjudicated. The 2015 drought coincides with legal conflict and policy tumult over water resources allocation. Washington law provides that instream flows are treated as water rights with priority dates. A 2013 court decision invalidated a rule that reserved water for rural development because it improperly reallocated water that previous rulemaking had allocated to instream flow. This decision arising from the Skagit River basin has resulted in a partial building moratorium and further conflict between land development and instream flow protection. In addition, the court effectively set aside the primary mechanism (the “overriding considerations of public interest” provision) used by Ecology to make water allocation decisions, and policy uncertainty will likely persist until the legislature acts. Rettkowski v. Dep't of Ecology, 122 Wash. 2d 219, 229, 858 P.2d 232, 238 (1993) (A general adjudication, pursuant to RCW 90.03, is a process whereby all those claiming the right to use waters of a river or stream are joined in a single action to determine water rights and priorities between claimants). Swinomish Indian Tribal Community v. Washington State Dept. of Ecology, 178 Wn.2d 571, 311 P.3d 6 (2013).